statue of the Helper Virgin, 65 cm. 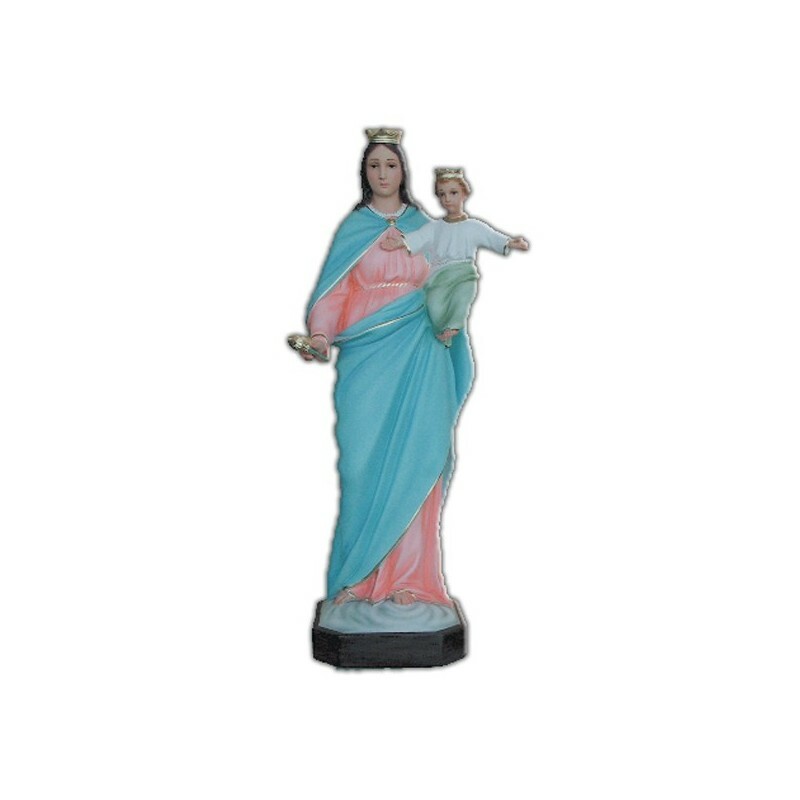 Statue of Helper Virgin, of fiberglass, cm. 65, handmade in Italy. The Helper Virgin’s cult hails from 1571, the age of the Victory of Lepanto of the Christians against the Muslims and from 1683 victory in Vienna. Saint John Bosco spread her veneration, giving the Virgin the “Helper” appellation. Saint Mary Dominic Mazzarello founded the Helper Virgin’s Daughters religious congregation. Pope Pio VII, after his liberation from the Napoleonic imprisonment, established on 24 of May her commemoration. In Turin there is a shrine for the Virgin, thanks to John Bosco, who asked its building. In the classical iconography the Virgin is illustrated with the Baby, the scepter and the crown, the red and blue clothing.